Now Open! SEDA is excited about the new deep water dock that is available for the fishing fleet, personal boaters, and marine service industry at the Gary Paxton Industrial Park. The dock will allow for a great place to dock boats to offload gear and perform routine boat maintenance. We are taking reservations for the 2018 season. Please contact SEDA for more information. Contact Sitka Harbor Department to reserve the dock. 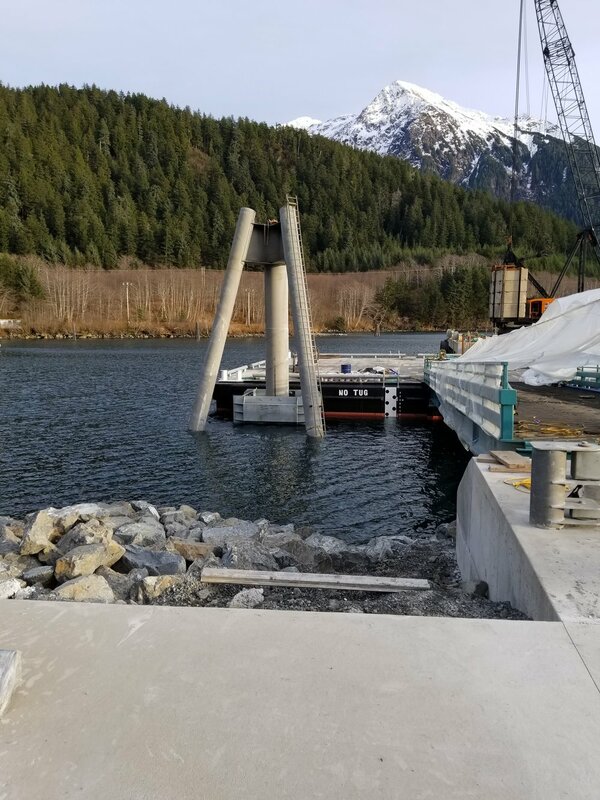 Deep water dock at GPIP near completion, December 2017. The dock is now open, and the construction is finished. The grand opening was May 31, 2018.